﻿ The House That got WILD! Animal Print Essentials › General › The House That got WILD! When it comes to an entire family to choose paint for the exterior of the house, it certainly can get a bit tricky! At least it was for the Riley family. Everybody wanted something different, so the carpenter and artist dad decided to do something “out of the box” that everyone agreed upon: Leopard Print! Wow! 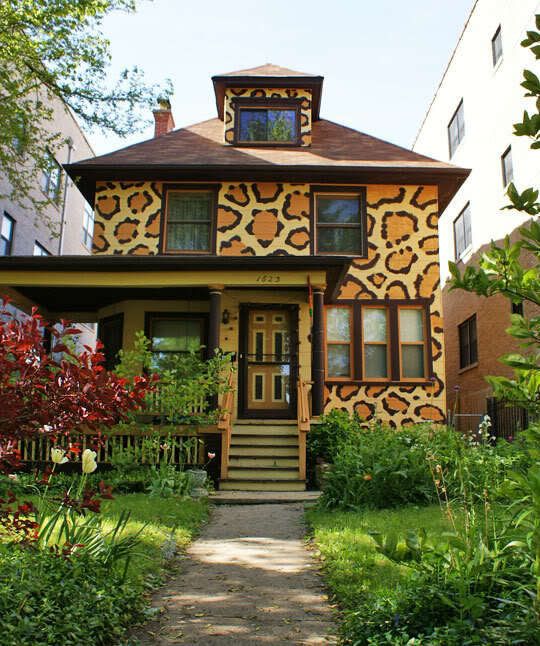 The Leopard print house is without a doubt one of a kind and adds a bit of ‘wild’ to this Chicago neighborhood. “The kids love it!” admits Riley.”People may expect more from us than we’re capable of doing, in terms of pizzazz,” he said.